The presence of renal calculi in humans has been identified in mummies discovered as long ago as 4,000 bc, affecting humans for millennia. The underlying aetiology of both nephrocalcinosis and nephrolithiasis is complex. An appreciation of the processes involved in calculus formation aids in the understanding of the diagnosis and management of the disease. 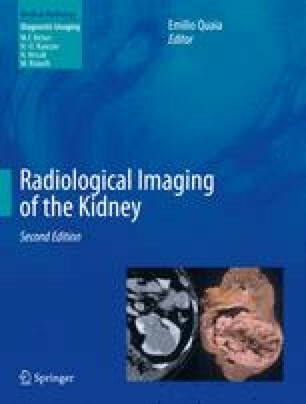 The progression of imaging technology has promoted increasingly sensitive and specific techniques in the diagnosis of nephrocalcinosis and nephrolithiasis. Currently, non-contrasted computed tomography has superseded the excretory intravenous urogram in the investigation of acute renal colic because of diagnostic accuracy and ease of application. An understanding of current imaging technology and techniques is necessary to allow its appropriate application in the diagnosis and ongoing management of nephrocalcinosis and nephrolithiasis.